link Not equal link Business first link Platforms made accessible link Win by retrofitting link Plug-and-play IoT? 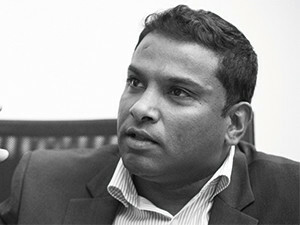 Vino Govender, executive for product, innovation and marketing, DFA. Imagine a world where sensors tell you immediately if your stock might spoil, cameras track the mood of your customers while they browse your store, maintenance orders are issued before equipment breaks...it's a utopian vision that actually does exist today. Yet how easy is it to step into the IoT world? Do you need advanced backend systems and a legion of sensors, held together by a futuristic network? Just how high is the barrier for entry, and what do you need to focus on? "People have taken WiFi for granted, especially free WiFi," says Werner Wentzel, partner account manager: Africa at Ruckus Wireless. "Monetising a WiFi service depends on the quality of the network. It has to be properly designed, provision to the right devices and take other factors into consideration." He raises a case study around servicing a resort's connectivity. Several factors come into play: not only consistent availability to guests, but also planning for connected devices such as fridges, televisions and communication services that will rely on the network. 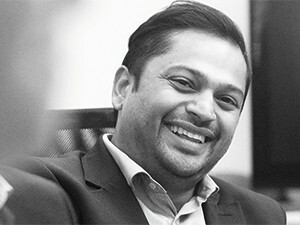 Vino Govender, executive for product, innovation and marketing at DFA, suggests taking it to a triangle view: "The top of the triangle is useful for high bandwidth activities, while the second tier is for IoT services that require bigger packet sizes. The bottom is for the billions of things that we often talk about. You have to understand that there are different levels to a network. One size does not fit all." You have to understand that there are different levels to a network. One size does not fit all. 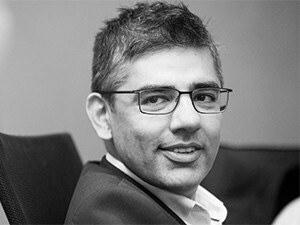 Govender represents Sqwidnet, one of the IoT networks active in South Africa. These networks aim to meet the new and different demands brought by IoT solutions. The differences between these networks matter a lot, says Max Makgoale, chief executive officer of Vula Telematix, home of the local RPMA IoT network. "You can get IoT done by throwing a bunch of 99-cent Sims at your devices. But you need to apply the right connectivity for the right purpose. There are things that will not work on my network," he says. 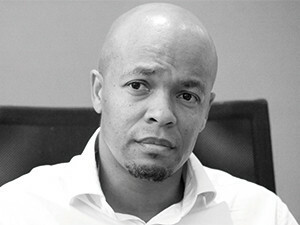 Max Makgoale, chief executive officer, Vula Telematix. "You also have to consider the long-term future. What about security? If a breach happens thanks to a guy with a ponytail in a Moscow basement, how do you patch that or apply a firmware upgrade? Do you have the capacity to address many devices? 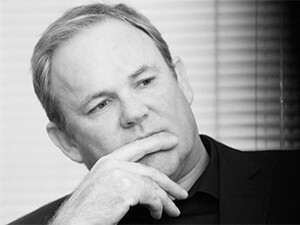 You have to pick the network well," Makgoale says. Umesh Sita, SAP's manager of digital transformation, adds that it all starts with the business case: "It's about either revenue or cost reduction. If you have the right standards and framework for your desired outcome, then you can use different solutions over time and expect them to talk to each other. I believe you don't limit yourself to one device, one sensor. If you decide on the things you won't do, the things you do do you will do extremely well." If you decide on the things you won't do, the things you do do you will do extremely well. "Ecosystems are important. If all you have is one product and expect this one thing to solve your problems, you will engineer for the problem. I say you should engineer for the outcome. But to do that, you need to have an ecosystem where you can draw on different technologies, intellects and whatever else that will address the problem and deliver the right outcome." Terje Moen, business development officer, IoT.nxt. This loops back to the value of modern IoT networks, says Makgoale. IoT is in many ways still in its infancy and the goal of specialised infrastructure is to accelerate delivery: "As networks, we try to make it easier for people who are going to develop real value in IoT to get to that value fast. IoT is such a wide landscape ? what you can conceive, you could probably bake. So how quickly you go from concept to minimal viable product is key." Terje Moen, IoT.nxt's business development officer, picks up on this point of delivery, noting that often the technology conversation is brought on prematurely: "The first thing that we do is take technology off the table. You should be agnostic toward the edge devices that are out there. The same with the communication protocols and how the data is pushed. We look at where the shoe fits, but also taking care of failover. IoT is a platform discussion, not a technology discussion. It is all about the customer's strategic intent. Once we have determined what that is, we can put technology back on the table." "Cloud services have made that kind of thing very possible. Real-time data views can be very expensive, because you need in-memory processing and other features. But when consumed through cloud, you can manage that and decide what works for you," says Sita. Not everyone is convinced that modern platforms have that scale, though. Fastnet's executive of IoT, Ian Duvenage, notes that claims around platform scaling, particularly downwards, are not always substantiated: "I don't think many platforms have moved beyond the PowerPoint construction of what their full IoT view looks like. If you ask for a real demonstration of a concrete system that's running on scale, which can be tuned up and down...I've only seen slides. For smaller organisations ? 20 to 50 people ? to use such platforms in a cost-effective manner, I think is still a while away, unless it is a very specific use case." "But we and our competitors are actively working on it, especially in Africa outside of South Africa, where they are leapfrogging us because they are not as hindered by current on-prem technology." Cloud represents an easier way into using IoT, but the roundtable participants note that retrofitting existing systems and services is where much of the current gains can be made. Moen cites a case study where they used a car dealership's current CCTV cameras in conjunction with RFID tags to track vehicles as they came in, recognise them, then automatically keep both the shop floor and customers informed on the progress. The system predominantly used existing infrastructure at the dealership. But he cautions that while IoT technologies are racing forward, the message isn't resonating strongly yet among non-traditional IoT providers: "The challenge that we see in the video CCTV world is there is a bit of a disconnect. There is a high level of applications, integration, mobile and so on being managed by traditional installers. Raising that profile for people to understand the benefits has been key." The real answers should not be sought from the IoT provider, whatever their industry. Instead, companies must look inward for those opportunities, says Jeremy Potgieter, regional director of Eseye: "For a customer to understand what benefits they will get from IoT, they need to do some introspection. It's about understanding the existing processes and identifying efficiencies that can be gained there. Those processes are tangibly tied to systems that are already there, so you look at how you can reutilise what you have." Umesh Sita, manager of Digital Transformation, SAP. "From a plug-and-play device point of view, things seem simple. But from an analytics view, things are still tricky. One thing we've been trying is giving high-tech equipment to non-IT people and seeing if they can configure it. So the area being pursued quite aggressively is the application layer, getting developers to build applications on top of the devices that can do many different things." "We're still using installers, because the system is still one wire too much, although it self-configures from that point," he says. "I think our home environments are still limited to a few applications and in terms of the starting point for consumer-centric IoT, in every country it's centred around one thing. In the US, for example, that's the thermostat and it is already something in the house. In South Africa, we decided to focus on what the majority of households and SMEs may have. But it will be a while before we put this in a retailer and sell it in a box." IoT adoption at this level is also still not evident because most device manufacturers haven't caught up. Until the mainstream consumer electronics brands start focusing and collaborating with IoT in mind, the arrival of 'simple' IoT is far from imminent. Moodley warns that this is actually a distraction and not how the conversation should go: "One drawback is as IT people, we have a singular mindset. I think it's fundamental for IoT, whether it's consumer, SME or enterprise, that we have a change of filters and look at it from the other side. Having a conversation about whether it is a smart device or in the cloud or something else, all of those things only fascinate the people around this table. But the person paying the bill, they are far more interested in the outcome. That is fundamental to discussing IoT." For a customer to understand what benefits they will get from IoT, they need to do some introspection. Makgoale agrees that this is not about equipment or technologies: "The important thing to remember is that less is more. I have a home automation system that has actually created more complexity in my house. You have to know what is it I need as a client, then take away the effort of me getting to the outcome."